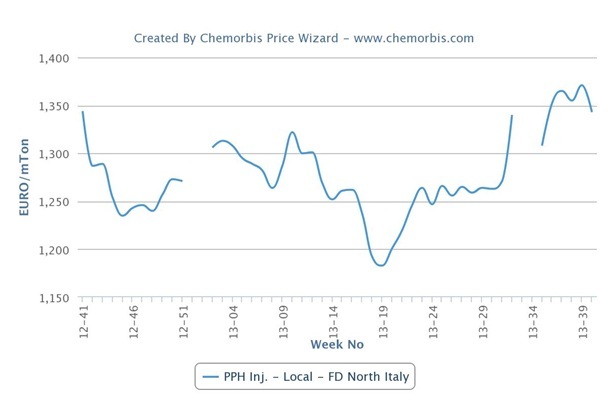 Following the settlements of the monthly ethylene and propylene contracts in Europe, new offers have started to be revealed in the downstream PP and PE markets on a bearish note for the first time after five months as per the pricing service of ChemOrbis. 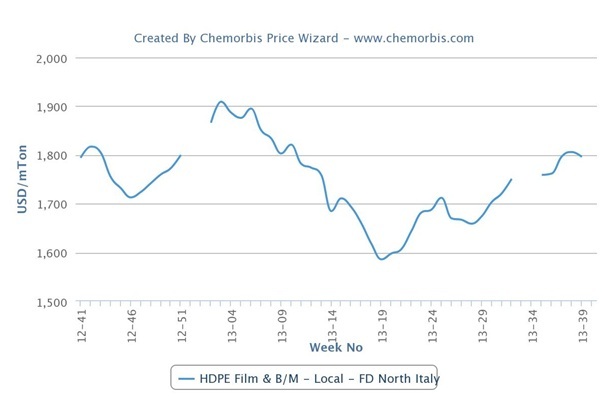 Initial PP and PE offers in both Germany and Italy indicate decreases of up to €50/ton while some players even pronounce their expectations for larger decreases for the latter part of the month. In the PP market, a Hamburg based trader started giving initial October offers for West European cargoes with discounts of €20-30/ton from September to Germany, where September business had been wrapped up with increases of up to €70/ton. “As demand considerably slowed down in the last 10 days of September, we already had to apply some discounts last week. Now, we are offering with further decreases again given the lower propylene contract settlement. Apparently, the PP market will continue to lose ground in the upcoming weeks, albeit in small amounts, unless demand improves,” he commented. According to ChemOrbis, an Italian distributor also voiced his intention to lower his PE offers by €50-60/ton when compared to the beginning of September. 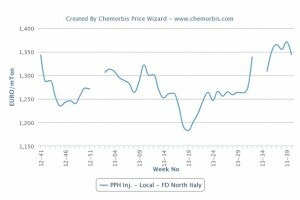 “We don’t rush to make offers these days as we know that it is not easy to make sales under bearish market conditions, although we feel that the total price decrease may reach €100/ton by the end of October.” Italian converters, meanwhile, are still on the sidelines, showing reluctance to receive new offers in anticipation of possibly larger decreases in the second half of the month.